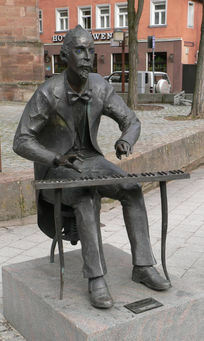 The German composer and pianist, Adolf von Henselt, born in Schwabach, Bavaria, a few miles south of Nürnberg, occupies a firmly established place in the galaxy of six composers all born within the space of five years of one another between 1809 and 1814 – the eldest, Felix Mendelssohn-Bartholdy, followed by Chopin, Schumann, Liszt, Thalberg and Henselt himself – together, they shaped the manner in which romantic piano music was to develop to the end of the century and beyond. This was the consummation of a golden age expressed through the medium of the fast developing grand piano. 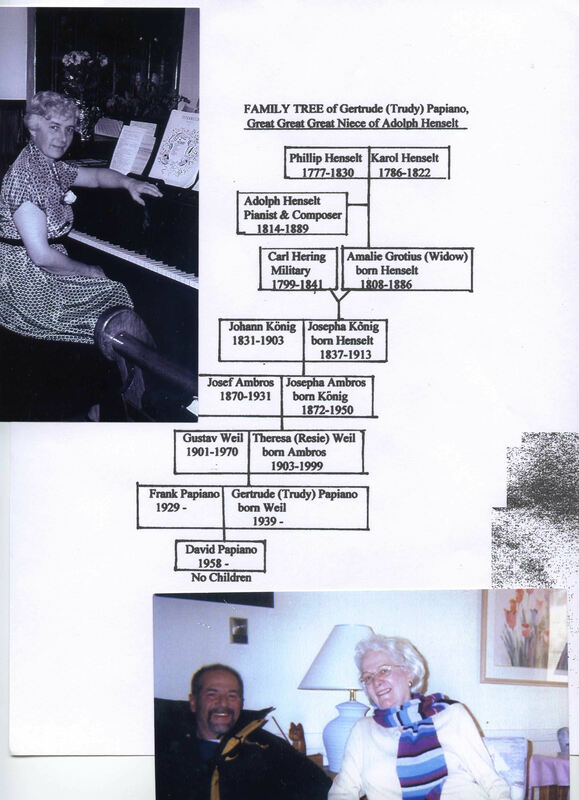 The Henselt family moved from Schwabach to Munich when Henselt was three years old, at about which age he commenced his music studies, at first with violin and then with the piano. Progress was rapid, with a particular bent for the music of Carl von Weber (1786-1826). This bent, evident at such an early age, gathered great force later on in the many editings, 'ossias' and arrangements of Weber's works and was doubtless nourished by the Geheimratin (privy councillor) von Fladt who, together with Weber and Meyerbeer (1791-1864), had studied with the Abbe Vogler (1749-1814). 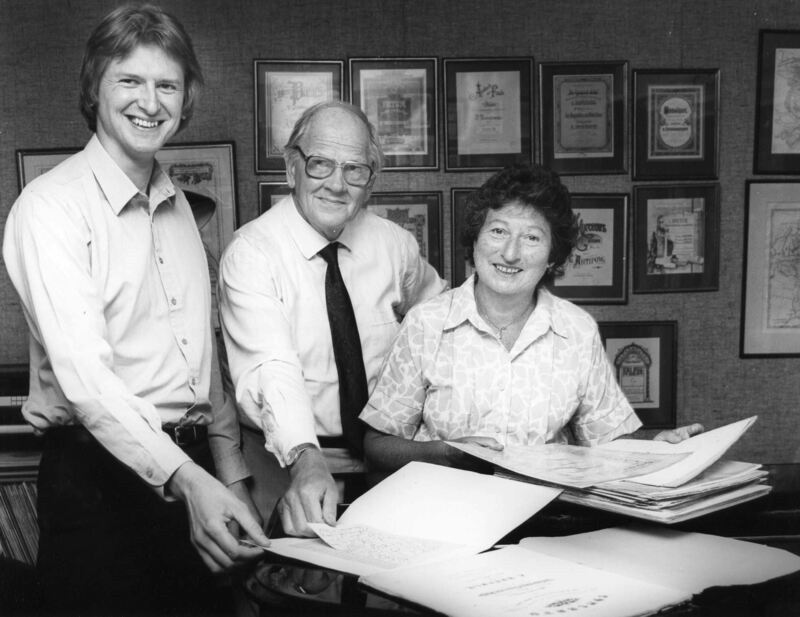 Henselt was fortunate enough to have valuable connections with people who counted. A royal stipend from King Ludwig 1st. of Bavaria enabled him to study for six months with the famous Johann Nepomuk Hummel (1778-1837) at Weimar. Henselt's stay, which lasted for 6 months, culminated on the 29th of November 1832 with a highly successful public début in Munich. 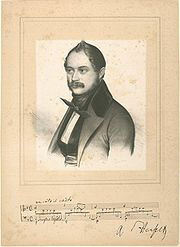 Next, Henselt went to Vienna to study with Simon Schechter (1788-1867) for 2 years which was followed by a further 2 years of seclusion during which period Henselt evolved his unique system of extending the stretch of the hands to a degree which gave him a command of the keyboard (without the sustaining pedal). This was almost without precedent at that time, and surely learned from his playing of Weber who could reach (and write for) a tenth. This stood him in good stead with rivals such as Thalberg and Kalkbrenner, and, in the opinion of Schumann, even Liszt who is said to have blanched at some of Henselt's more reckless moments. 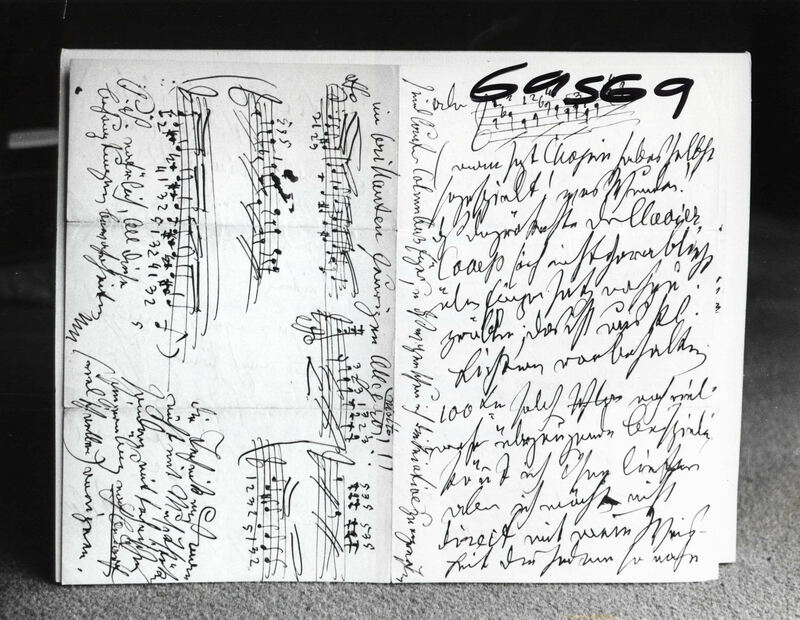 In 1836, after a nervous breakdown, he went to Carlsbad to recuperate and, according to LaMara, it was there that he met Chopin, but this has been denied by other chroniclers including the British Chopin expert, Arthur Hedley who dispels any possibility that Chopin met Henselt. In a letter written to Richard Beattie Davis in October 1967, Hedley stated that this idea may have originated with Friedrich Niecks, who, according to the writer, was very inaccurate. In the same year Henselt revisited Weimar and Hummel, staying there for some months. 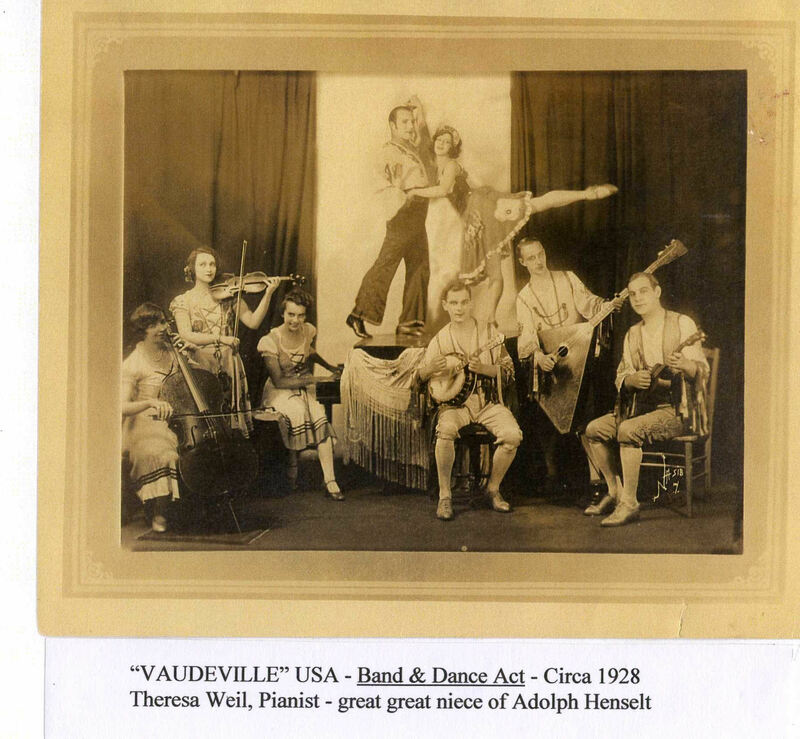 We may judge that this visit to Weimar was the defining point in determining Henselt's future. Firstly, he fell in love with the wife of a physician to the court. Her name was Rosalie Vogel (née Manger). There was a divorce and Henselt married her on the 24th October 1837 at Bad Salzbrunn, Silesia. - now Poland. This event is reflected in Henselt's 'Poéme d'amour', Op.3 - full of characteristic effects. Secondly, the appointment of Hummel as court Kapellmeister (from 1819 to 1837) has been said to usher in a romantic age. With the presence of the leading patron, the Grand Princess - Grand Duchess Maria-Pavlovna, a daughter of the Tsar, who was herself a pupil of Hummel, it is not too fanciful to suggest that Henselt's second visit to Weimar sealed him as the ascending star in the Russian firmament. In 1838, he proceeded to St.Petersburg where his success with concerts in that city overwhelmed an audience, up to that time without any comparable artist. Thus were the twenty four studies, Opp. 2 and 5 launched on the world. 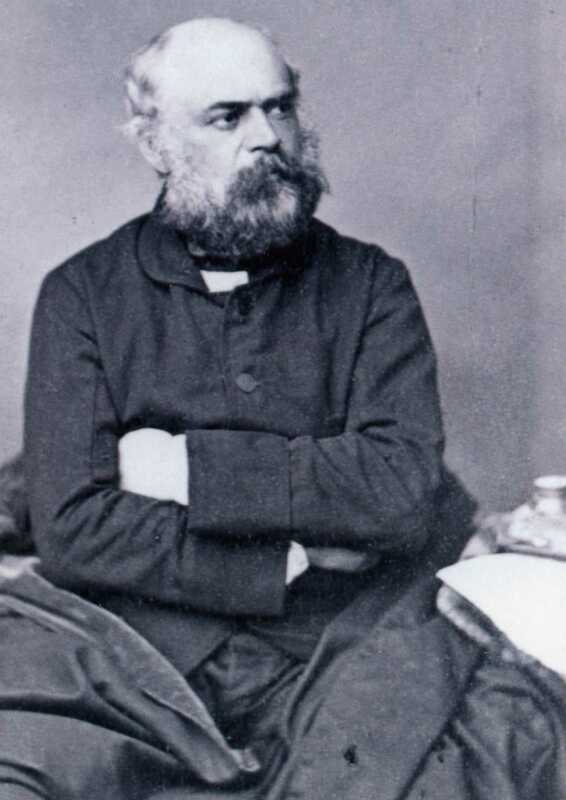 The inspiration engendered by Henselt's marriage to 'sa Rosalie', the dedicatee of his 'Poéme d'Amour', in 1837, is expressed in a torrent of 24 studies, opp.2 & 5, which together embody much, if not all, of the essence of Henselt's idiosyncratic idiom. Underpinned by a genuine and original melodic gift, these perfect little concert pieces approach, in their poetic content and difficulty of execution, those of Chopin (1810-1849). Admitting that there exists in Henselt's studies a very evident Chopinesque 'feel', they post date those of Chopin by some years. It is Henselt's melodies which follow a very different route. Less sophisticated, less chromatic, more regular in their bar lengths, many seem to stem from the world of the German 'volkslied'. 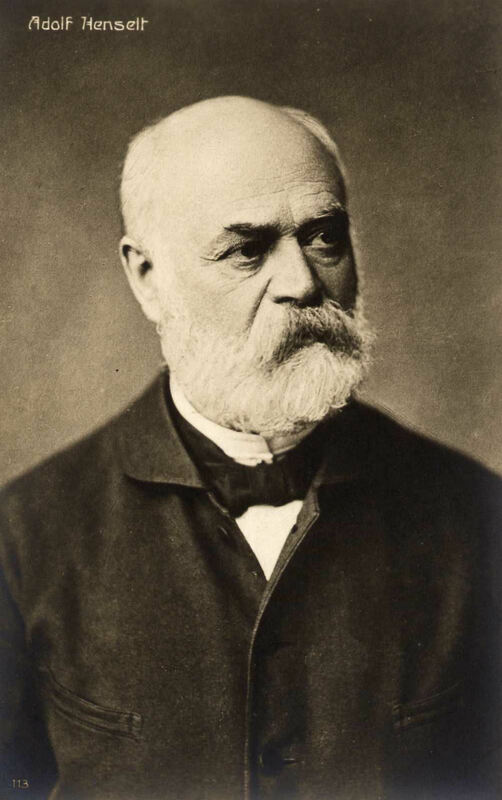 Von Lenz called Henselt the most German of composers, with the Fatherland as his keyboard. Such was Henselt's fame, that in Germany that remark was perfectly well understood. With the hopes of even finer things to come after the epochal studies, one inevitably feels disappointed that much of the remainder of Henselt's small output should be made up of miniatures, beautifully crafted to Henselt's keyboard layout, though there is a good reason for this paucity. 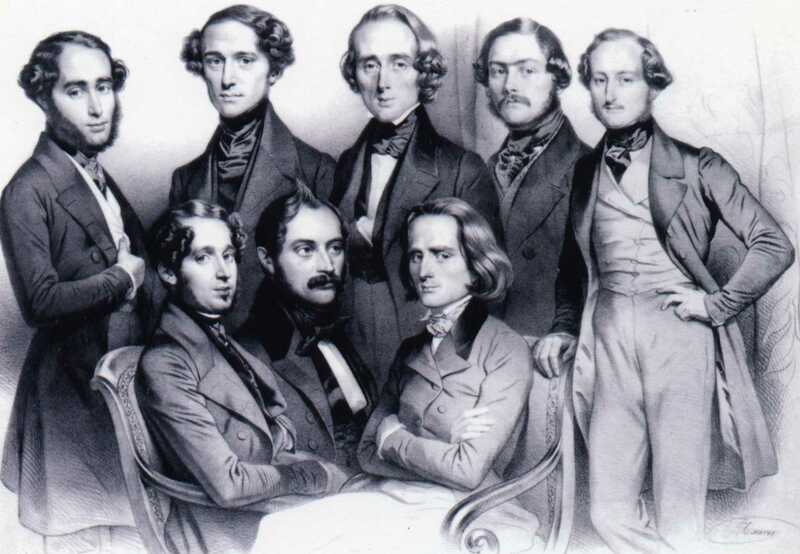 Henselt's 'Studies', which he played in St. Petersburg in 1838, created such an impression that he was forthwith engaged by the Russian court as a teacher in the royal household, to the nobility and in time as the inspector general of music schools and teaching academies and Imperial Institutes for young ladies in St.Petersburg, Moscow, Charkov, Kiev and throughout Russia. One may assume that this appointment had the effect of establishing the influence of Henselt in due time not only as the leading figure in teaching establishments under the jurisdiction of the Tsar. (The St. Petersburg Conservatoire did not open until 1862 ) but as a growing influence on a new and distinct school of Russian pianism, as against the imports from the West. 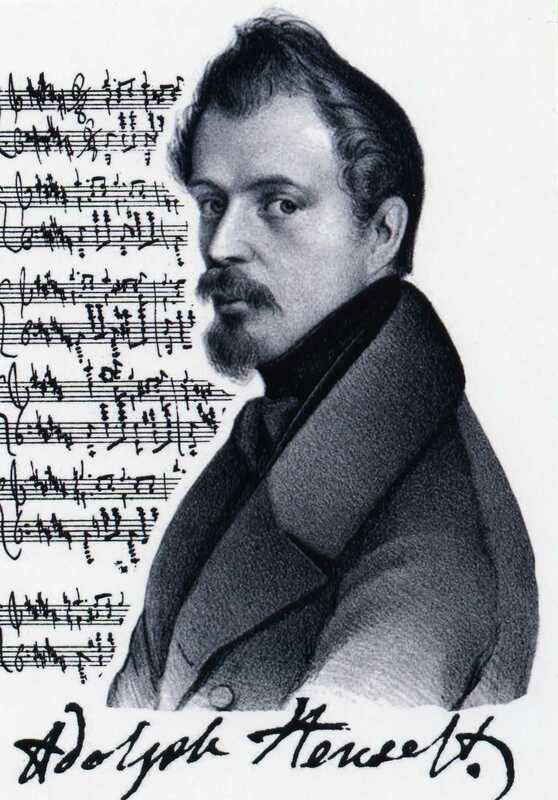 This involved Henselt in a vast labour, augmented by his numerous editing’s of other composers' works, for use in schools and time spent editing the music journal 'Nuvellist', founded in 1838. It is understandable that this left little time for composition. However, the few large scale works following the studies, are all of high calibre. They include a sonata movement for piano and horn, or string instrument, Op.14; a piano trio, Op.24; two concerted works for piano and orchestra - the piano concerto, Op.16, which, together with the earlier studies exerted such a great influence on Russian piano composers; and the 'Ballade' for piano, Op.31. Henselt, who had been honored with elevation to the nobility, died at Bad Warmbrunn, Silesia (now Cieplice Slaskie-Zdroj, Poland) on October 10, 1889. Immortalized on his gravestone by the words…..`divinely gifted artist and composer`. 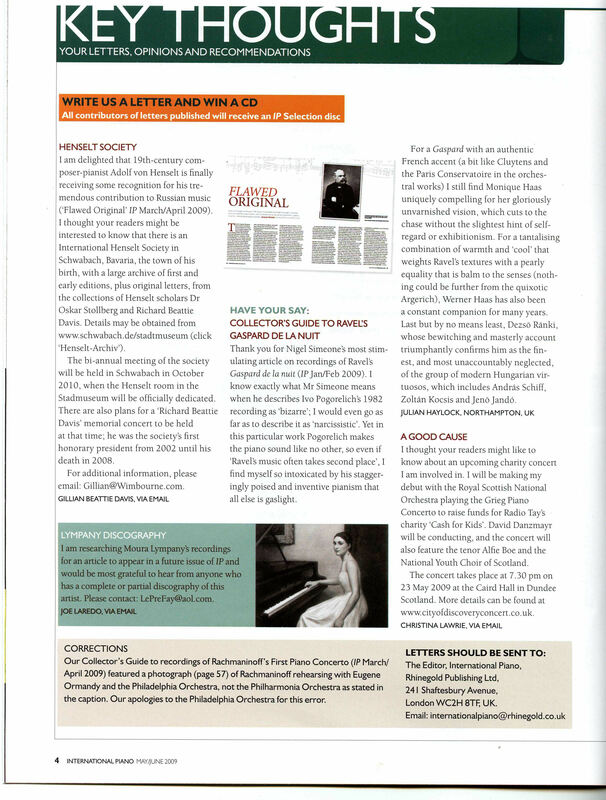 To quote Balakirev ..'I will be terribly sad when Henselt is no more. With him will go the last representative of that noble Pleiades….. to which belong Chopin, Schumann and Liszt`.